We have emerged as most admired company engaged in manufacturing a wide gamut of Clutch Centers. 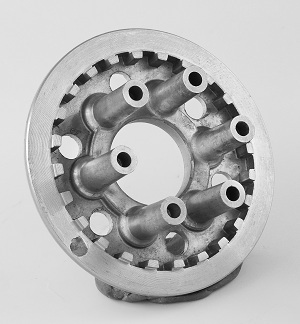 These parts are highly demanded by automobile companies for assembling clutches in several vehicles like bikes or scooters. Our Clutch Centers are designed from the best quality materials with the aid of modern technology. Moreover, our respected clients can avail these parts at economical prices from us.